I recently purchased four brand new face primers (two drugstore and two higher-end) and I thought I would compare them side-by-side all in one post! Two of the formulas are meant to give your skin a subtle glow under your foundation while the other two give a more matte appearance. First, here's a comparison of all four primers swatched next to each other. 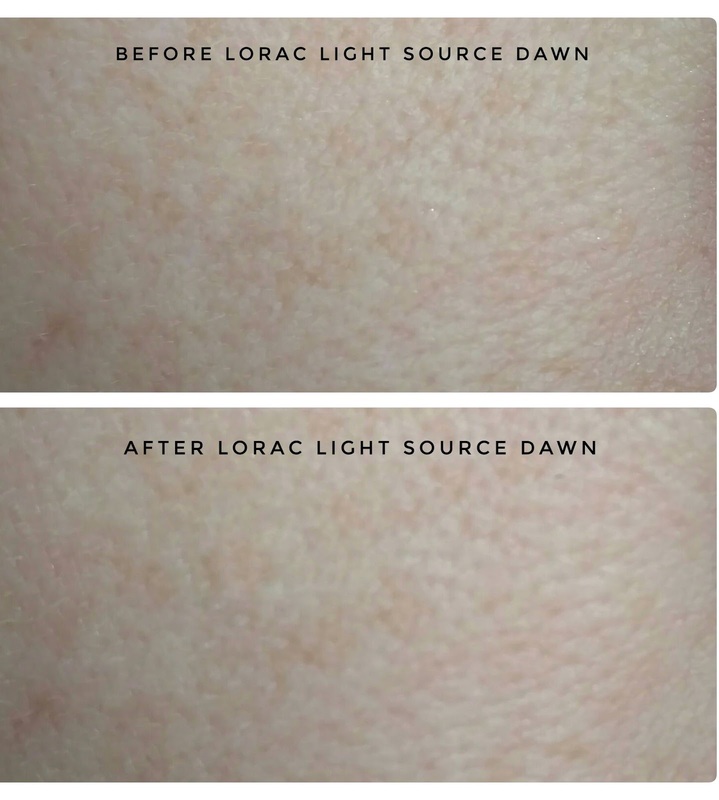 The Lorac Light Source Illuminating Primer in the shade Dawn looks white in the bottle, but when applied to the skin it has a beautiful pink iridescence. Urban Decay Optical Illusion Primer has a thick texture and a slight pink tint with no shimmer or glitter. Milani Prime Light Primer has a golden tint with micro-glitter. 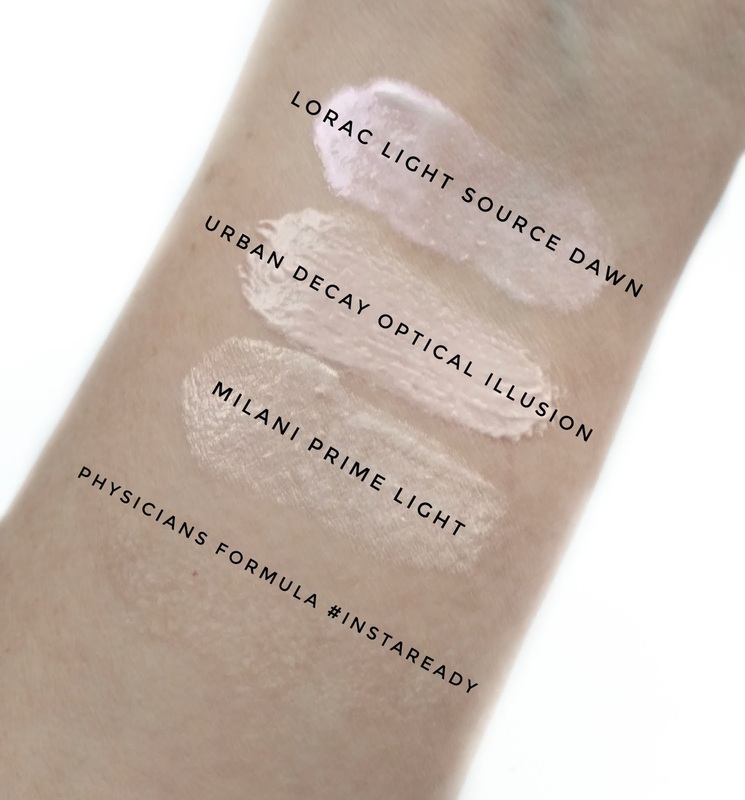 Physicians Formula #InstaReady Primer goes on completely clear with no shimmer or glitter. I tried each primer on my face and took close-up photos of my cheek area (they're all in the exact same spot) so you can see how, or if, they improved the texture of my skin. 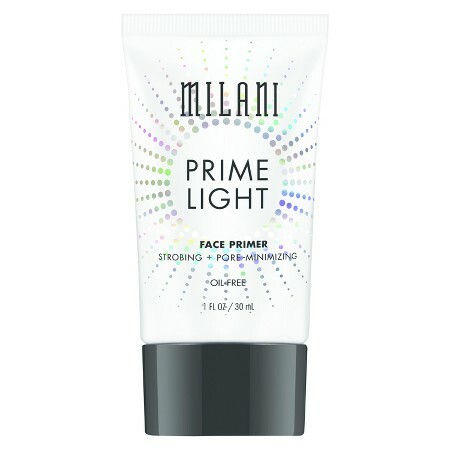 Milani Prime Light Strobing + Pore Minimizing Face Primer ($9.99 at Target)- This primer claims to "create a smooth canvas for makeup and enhance your look with a universally flattering glow". It's a medium-weight formula, not too thick but not runny either, and it doesn't have a noticeable scent. When it comes out of the tube, it looks like a white lotion with a golden tint and once it's on the skin you can see small glitter particles. I feel like it definitely made my skin feel smoother but in the close-up photos, you can see that it really didn't minimize my pores...I feel like they are a little more noticeable because of the glitter. It also gave my pink-toned skin a yellow tint. 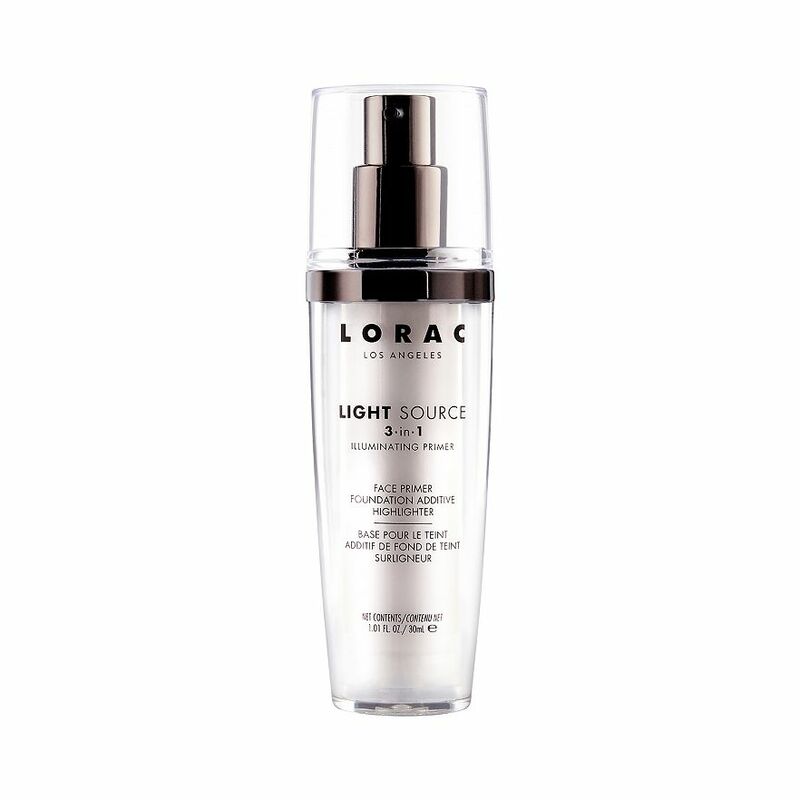 The Lorac Light Source Illuminating Primer in Dawn ($35 at Ulta) has a lightweight, liquid formula that sinks right into my skin and feels more like I'm applying a moisturizer than a primer. It has a little bit of a silicone primer feel, but not as much as most primers do. It has a lavender scent that disappears once you rub it into your skin. 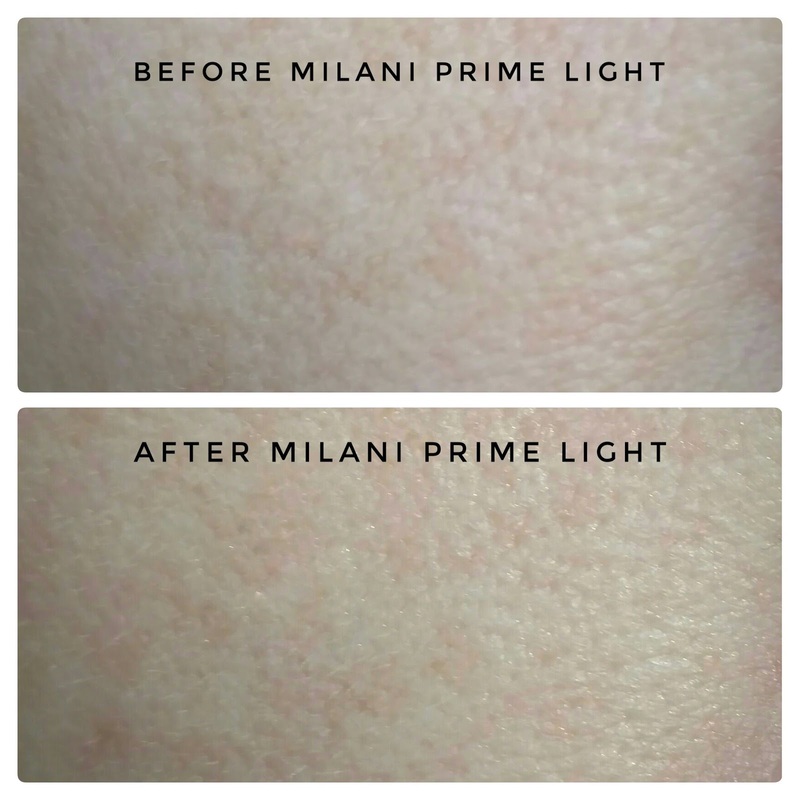 Unlike the Milani primer, this gives a soft hint of a glow with no glitter...it has more of a pearly sheen that you can only see when the light hits your skin. Because the texture is so light, you can also dab it on top of your makeup as a liquid highlighter. 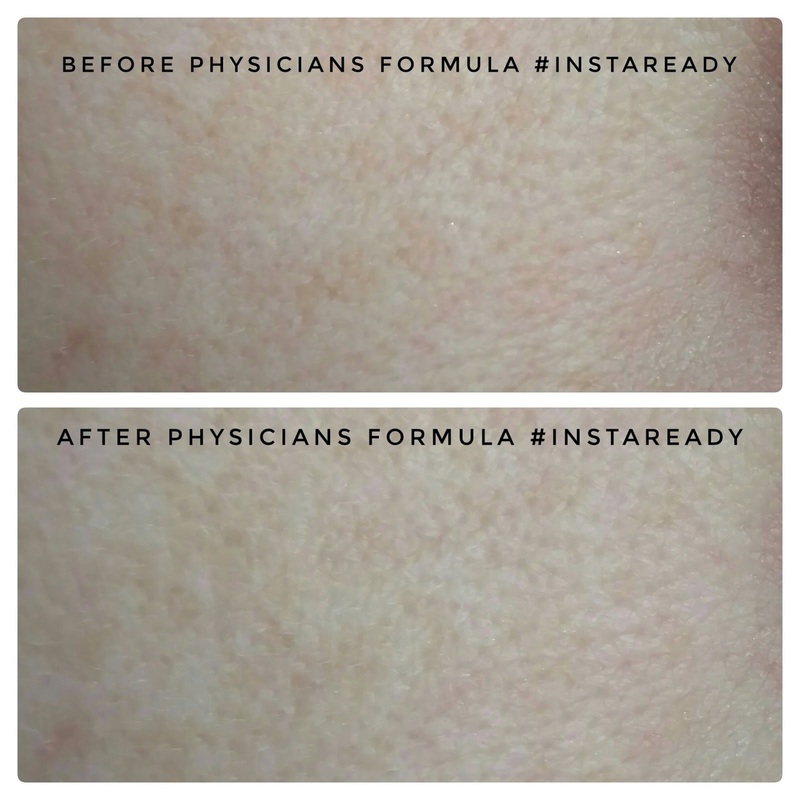 In the before and after photos below, you can see that it does blur my pores a little bit and softens the fine lines that you can see in the bottom right corner of the photos. Physicians Formula #InstaReady Primer ($12.99 at Ulta) is a completely clear silicone primer that claims to blur pores and fine lines, absorb instantly and help extend the wear of your makeup. It comes in a pump bottle but I couldn't get the product to come out of the bottle for the life of me. Finally, I opened it up and realized that the primer was kind of settled toward bottom of the container and was thick (it looked like clear blobs of gelatin). I ended up having to scoop a bit of the product out with the clear tube from the pump, which is not something I want to have to do every time I want to use it. Once I applied it to my skin it didn't feel thick or greasy at all...in fact it dried down immediately with a velvety matte finish. As you can see in the photos below, it did soften the look of my pores slightly and it definitely made my skin feel a lot smoother. But as much as I like it, I am disappointed that the packaging isn't functional. It also had a strange chemical-type scent. The Urban Decay Optical Illusion Primer ($34) is my favorite of the bunch! It has a thicker texture that makes my skin feel super smooth and it fills in pores and lines better than any of the other formulas in this post. It doesn't absorb as fully as the Physicians Formula primer, so it leaves a bit of "slip" on your skin, but since I'm so dry I prefer that to a formula that completely dries down matte. If you don't like heavier silicone primers, you may not like this one, but if you have a lot of rough texture or deep pores that you want to hide, this is the best of the four primers. (A great drugstore dupe of this primer to try is the L'oreal Studio Secrets Magic Perfecting Base). This primer had no noticeable scent. 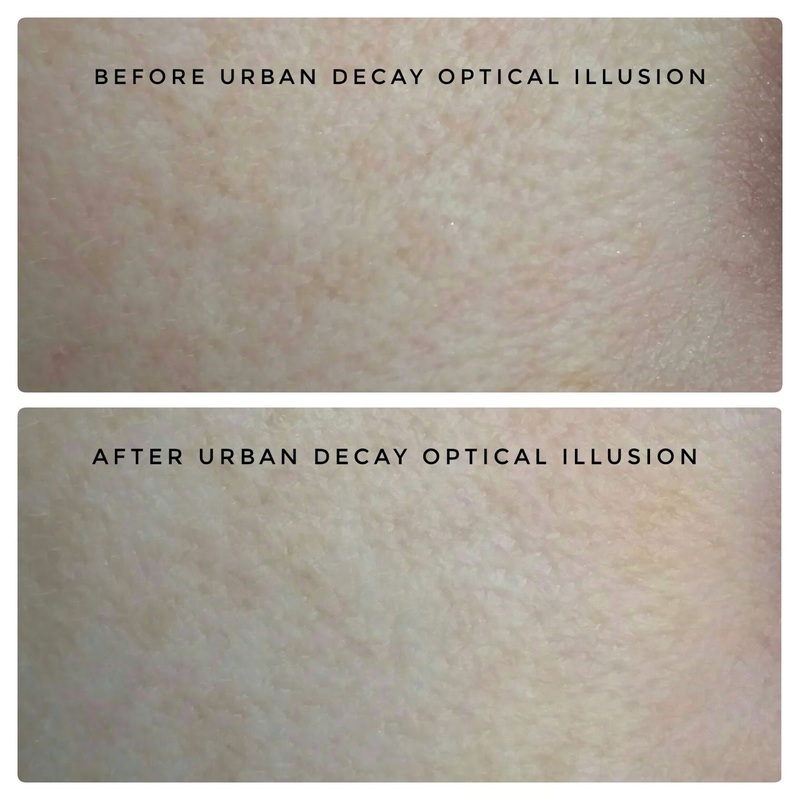 Overall, I liked the Urban Decay Optical Illusion Primer the best...it made my skin look practically flawless and provided lots of "grip" for my makeup to adhere to. For lighter makeup days, I love the Lorac Light Source Illuminating Primer. While it doesn't provide a lot of glow, it does make my skin look more awake and less dull, and the lightweight formula makes my dry skin feel more hydrated and comfortable. 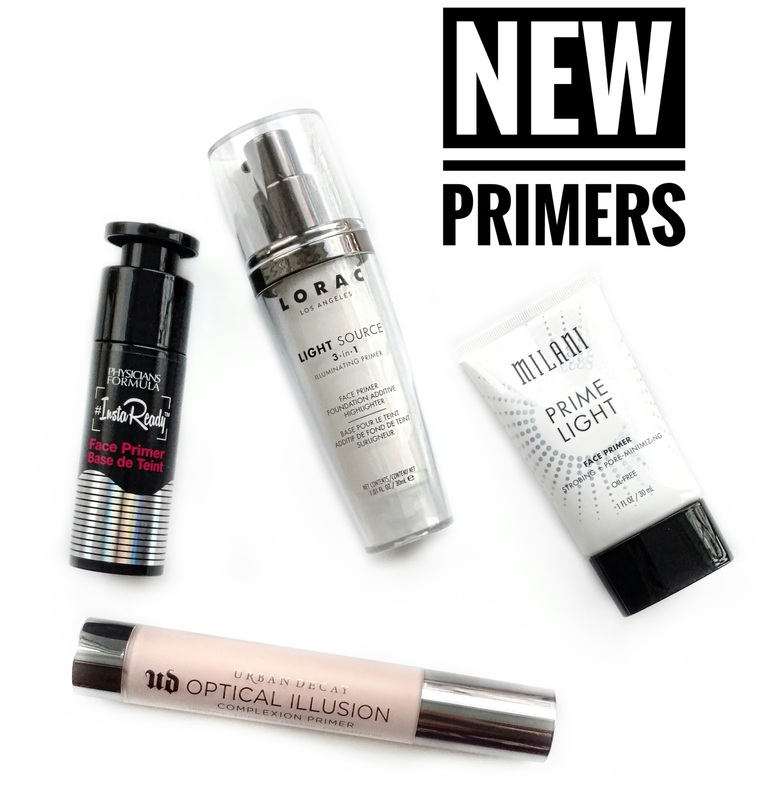 Have you tried any of these new primers? What are your thoughts? Disclosure: This post contains affiliate links. All products were purchased by me. Thanks for the swatches and the comparisons. I never have much luck on UD facial products as I have oily skin. I'm glad I found your site for some reason when I manually type it it says site not found. I cut and paste to make sure but it doesn't work. I have you bookmarked now! Those are great close-up photos! I don't think I'll try any of these primers... I want one that is more on the hydrating/luminous side... but no glitter! ;) There's one by Catrice that I've heard is nice. I had the same experience with the Milani one. I get ready under fairly bright lights and my first reaction was HOLY GLITTER ON MY FACE! Thought maybe it would be minimized by foundation over the top, but not really. 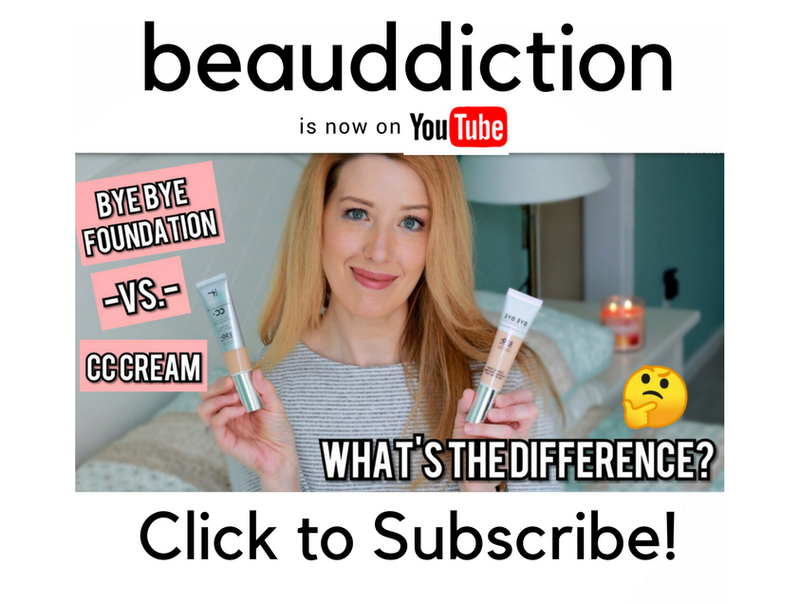 So glad I found your new channel :) What's your fave hydrating luminous primer at the moment? Have you tried Becca First Light Priming Filter already? Best I have found so far are Marc Jacobs Coconut Primer and Sum37 Dazzling Base.